Autumn leaves in Bright – living up to its name! Had a totally glorious family weekend up in the High Country last weekend – in perfect Autumn weather. 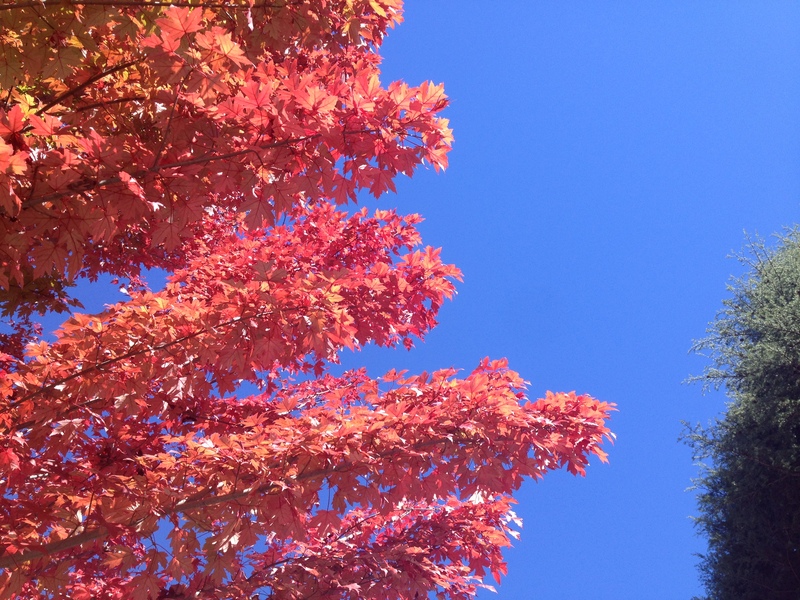 The autumn leaves were just starting to turn in the beautiful mountain village of Bright, the night air was crisp and cool, and the daytime skies were blue, blue, blue! There is so much to do and see around there, even outside of the ski season, so it’s really worth the 4 hour drive from Melbourne. Local produce stalls are very distracting, with walnut and chestnut farms, olive groves, and berry and hop farms on either side of The Great Alpine Road to delay your journey, not to mention the VERY tempting vineyards – we had a very indulgent Autumn degustation lunch at Gapstead Winery: think quail and slow roasted autumn fruits – yummmmmm! Our favourite roadside stall was selling roasted chocolate and chilli pumpkin seeds! Needless to say, our pantry is bulging! 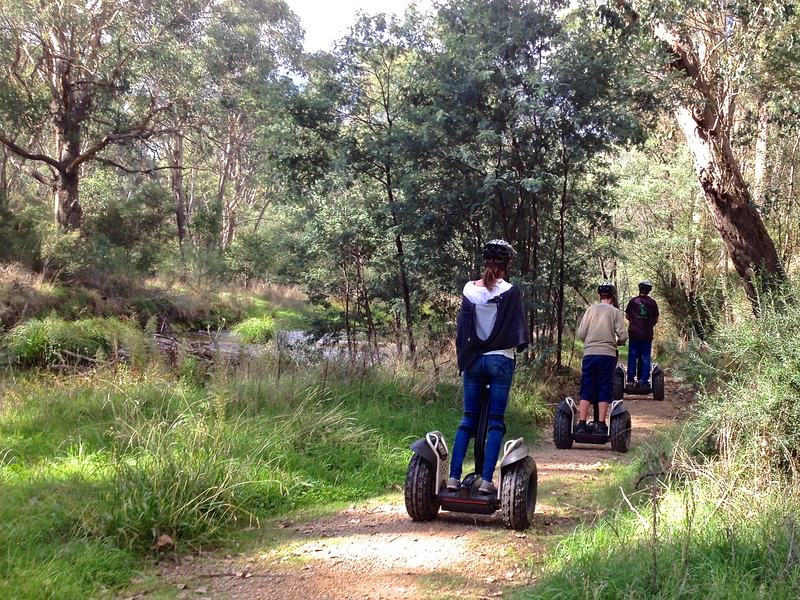 The kids and I did some off-road ‘adventure’ segway-ing in the morning with Peter of Bright Segways, up and over rocky bush trails, through forestry trails and even over a swing bridge across the Ovens River. Who knew you could 4WD on a segway?! This is hands-down pretty fabulous family entertainment and a real crowd pleaser. What a hoot! 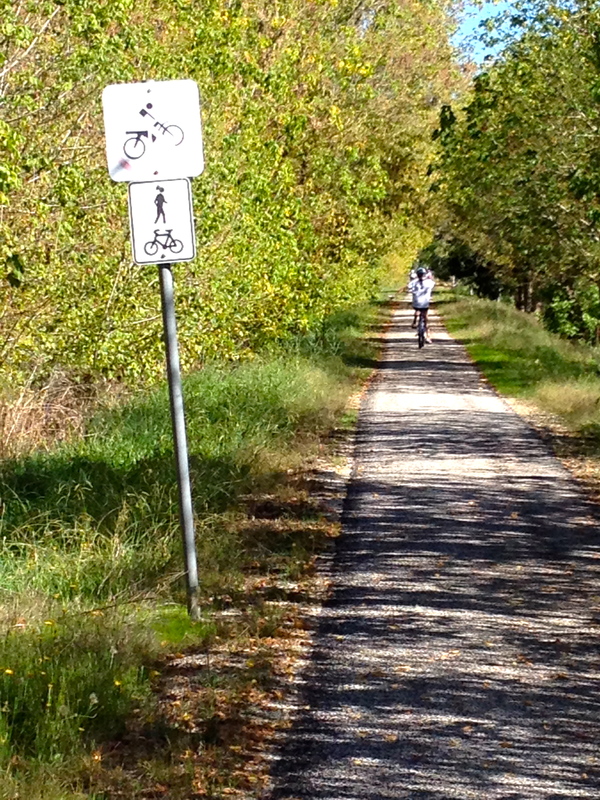 On our second day, we took in a very easy and picturesque 30km stretch of the ‘Murray to the Mountains’ Rail Trail which runs 106km from Wangaratta to Beechworth. The section we did was virtually flat, and the entire trail is sealed all the way, with short distances between towns, and a number of trail-side cafes catering to cyclists – so it’s very family-friendly, and a more achievable option than riding your bike from the valley up to the top of Mount Buffalo, which seems to be a pretty popular – if masochistic – activity (it takes bout 2 hours of straight up – great training if you’re planning on entering the Tour de France!). The section which we did (a far more leisurely 2 hours) takes you past beautiful pastures and farmland, much of which was originally sown to tobacco, and you frequently pass the old tin tobacco drying sheds. 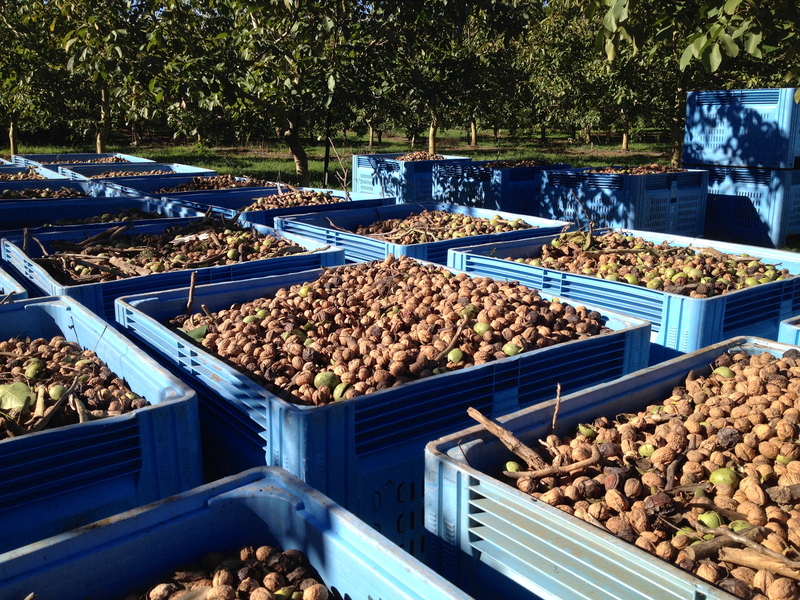 Today there are instead hanging hop gardens and all those lovely orchards and vineyards I mentioned. It helped us greatly that we had a willing aunt and uncle who assisted with the car shuttle, but you can also time your ride to coincide with a Victoria Rail Coach (yes, that’s a bus masquerading as a train! ), which purportedly will put your bikes in the luggage compartments below and get you back to your starting point – probably best to ring ahead and check. On our way back to Melbourne, we detoured for the stunning, windy drive up Mt Buffalo – one of Victoria’s first national parks and original skiing centres over 100 years ago. 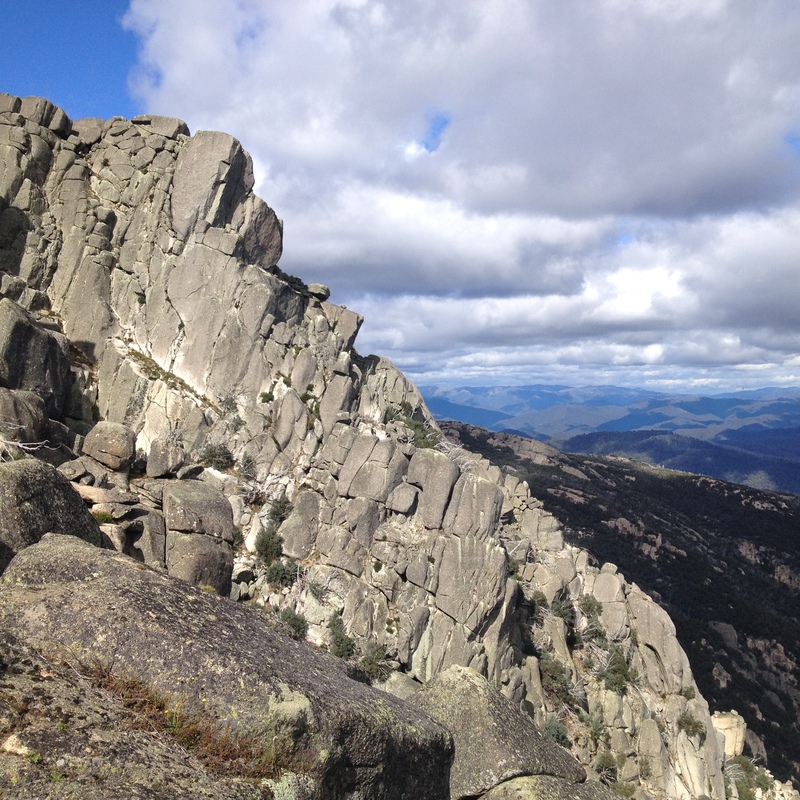 It’s stunning granite outcrops and alpine plateau meadows are so dramatic and quite unusual in Victoria. Mt Buffalo is the home of the Australian Alp’s endangered Bogong moth, as well as the equally endangered historic Mt Buffalo Chalet, which is thankfully about to get a $7m refurbishment. 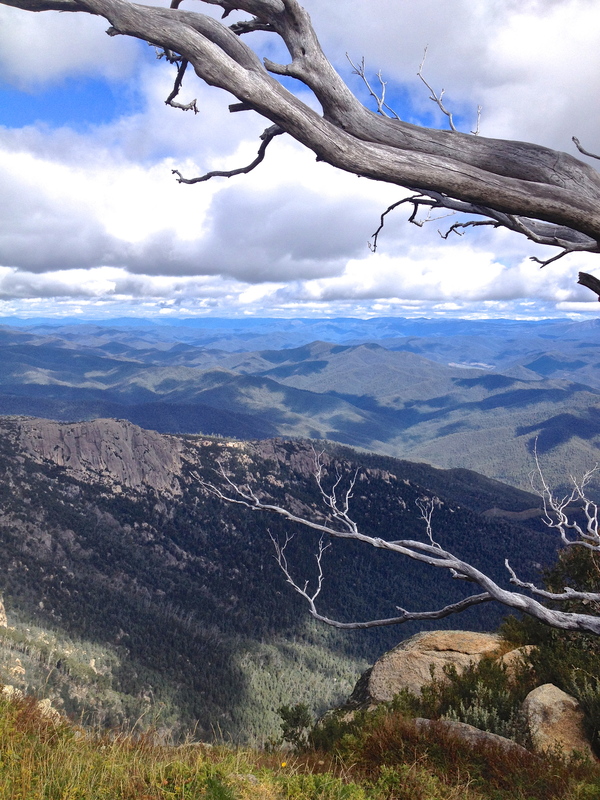 There are also endless bushwalking options, including the aptly named ‘Big Walk’ up the mountain. But it’s the short (1.6km) but very sweet clamber up Mt Buffalo’s ‘Horn’ which tops everything off – literally – at 1,723 metres (5,653 feet). While the only-way-is-up, the walk is not hard and there are plenty of rocks and the occasional seat to lean against and catch your breath as your mountain-goat children leap blithely from boulder to boulder! 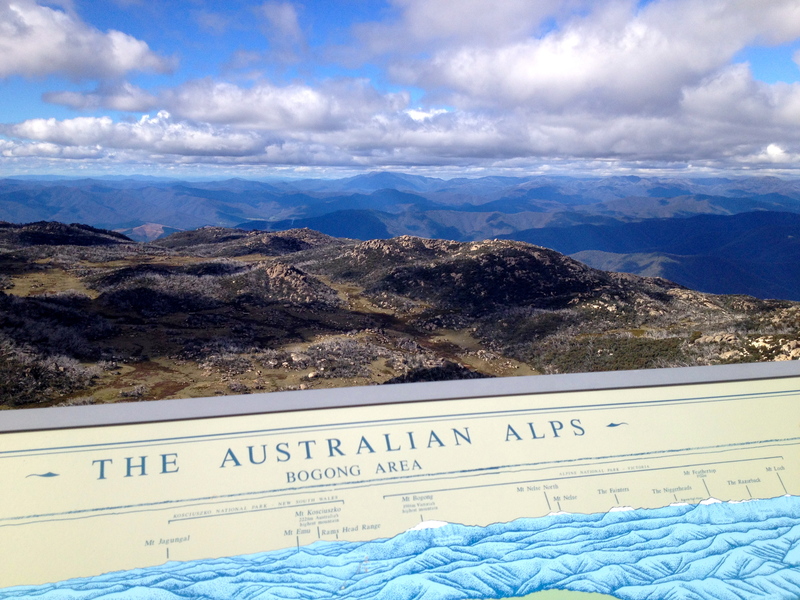 The view from the top was pretty special to be honest – 360 degree views across the Australian Alps, with Australia’s highest peak, Mt Kosciousko in NSW, a very remote but visible presence. Despite the clear, calm weather, it was a chilly 10C at the top, even in the middle of the day, so I can imagine it is pretty hostile at times – road access to the Horn car park is closed in the winter months, when the whole plateau is often covered in snow. 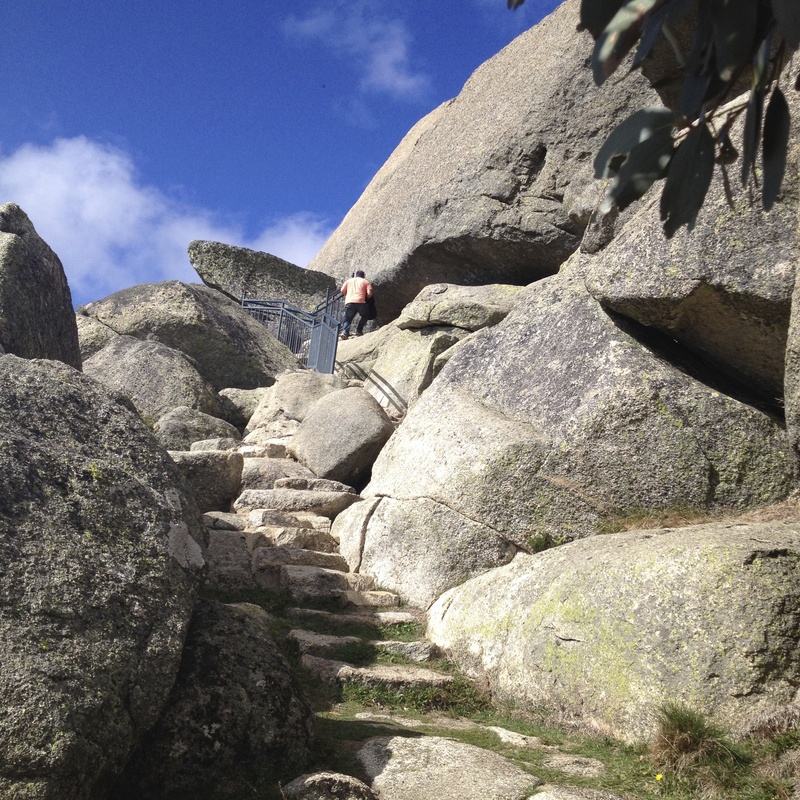 The walk/climb to the top has recently been upgraded to make it safer and more accessible – steps are cut directly into the rock, or have been installed in some places, grip has been laid in particularly slippery areas and railings are provided where needed – especially on the top of the enormous summit boulder where there is a directional plinth and signage indicating surrounding peaks. All this makes the short walk a great and really interesting option for families with children, with the reward of stunning panoramas at the top while your heart stops tap-dancing in your chest. There now – I think I have described my perfect weekend.